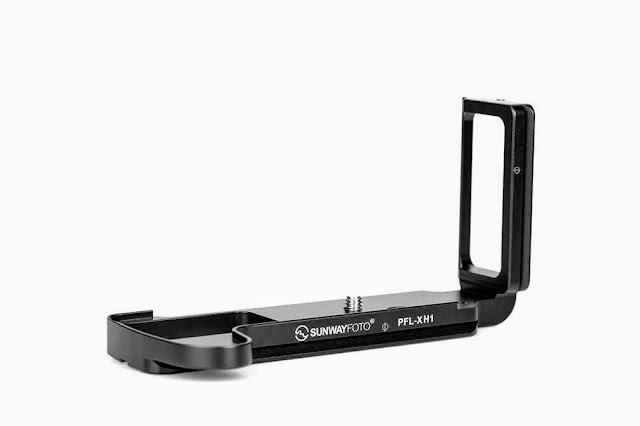 Sunwayfoto has released another universal, small and lightweight, Arca-Swiss® compatible quick release plate with a Retractable Ridge at one end and a strap loop at the other. 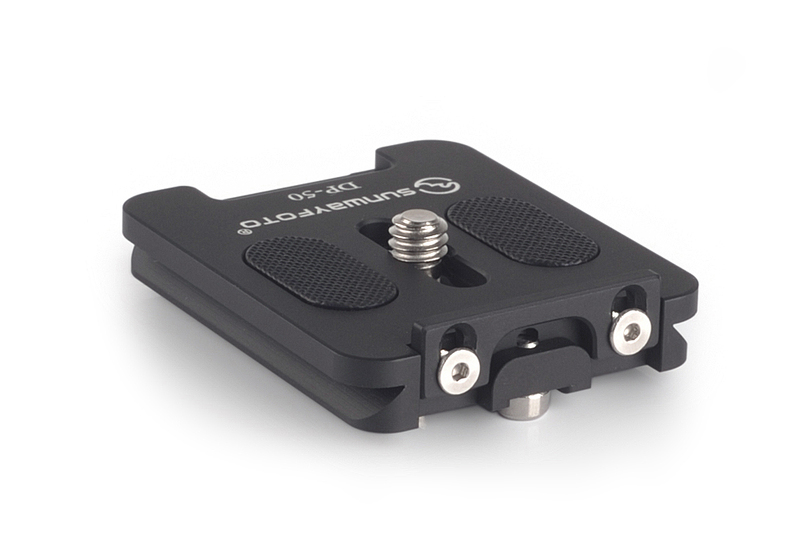 The retractable ridge even on such a small plate appears for the first time as an innovation by Sunwayfoto designers who never stop thinking creatively even for small matters as a camera quick release plate. Nevertheless, CAD/CAM design and state of the art CNC machinery are on their side. 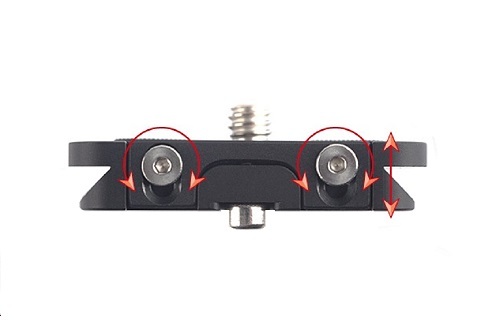 Two small screws within two small slots at the back end of the plate enable the ridge to be elevated or retracted at users will utilizing the included Allen key and according to the intended application of the small quick release plate. 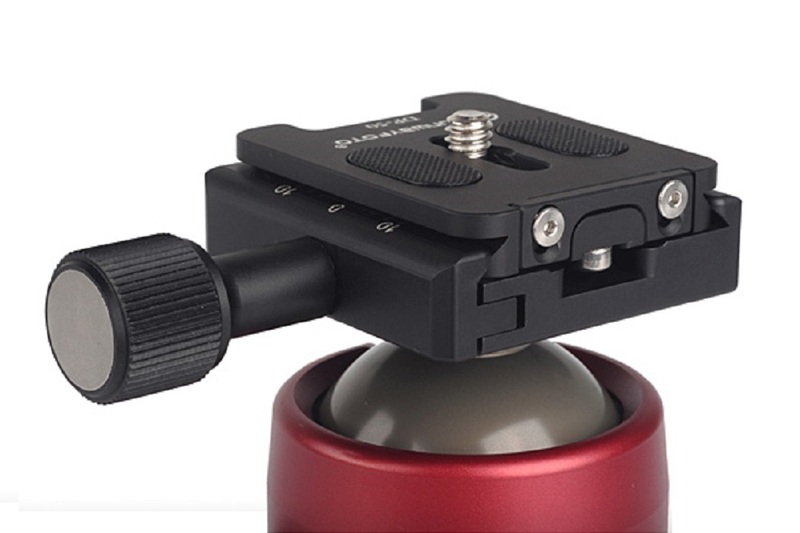 Besides the Retractable Ridge, the plate features also two rubber pads on the top surface to ensure that the plate will not twist even when the ridge is not used. 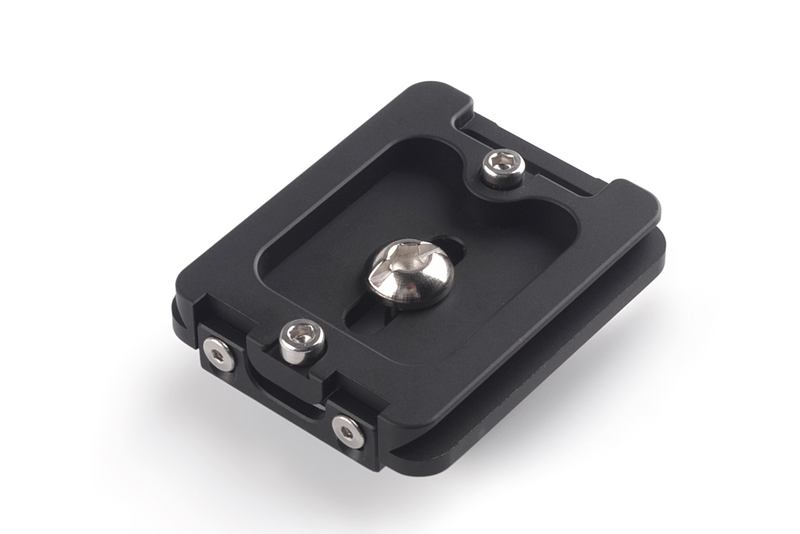 As all Sunwayfoto products the plate is CNC machined out of solid blocks of lightweight aircraft grade Aluminium and then anodized with a satin black color. 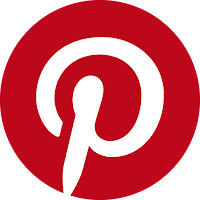 The plate bottom is hollowed out with the Hex-socket (and slotted) captive screw moving in a small slot which permits fore-aft or lateral adjustment depending on the plate's orientation. There are two M3 safety stop screws at each end and a strap loop on the front end. 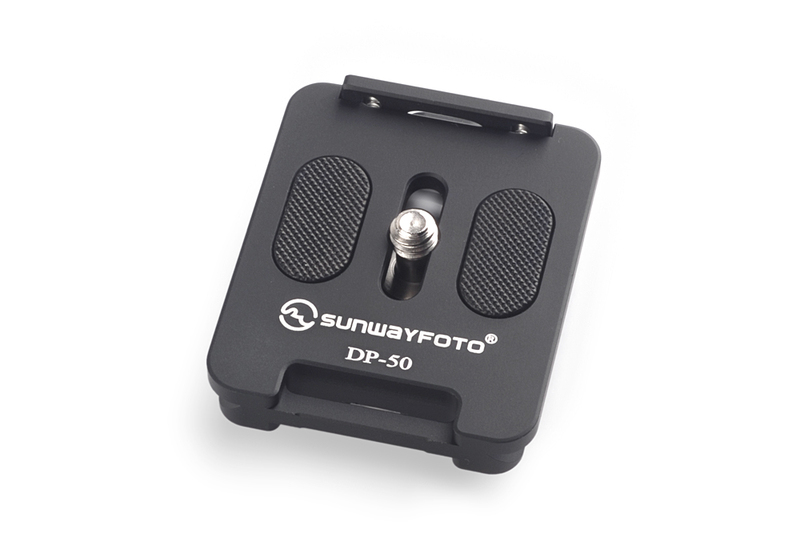 In the photo above the DP-50 QR plate seems to complement very nicely the upcoming Sunwayfoto DDC-50L Long Screw-Knob Quick Release clamp attached on one of the new generation of colorful Sunwayfoto FB-44 Lightweight ball heads. Expected price for the new DP-50 is US$ 16.00 (+ Free shipping in the US) and it will be is available in the international markets from Amazon or from eBay.